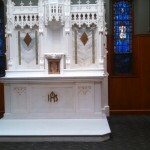 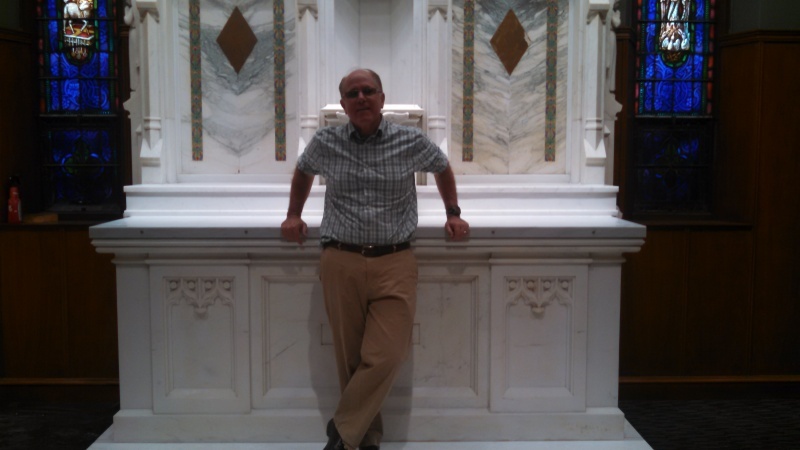 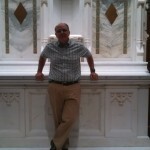 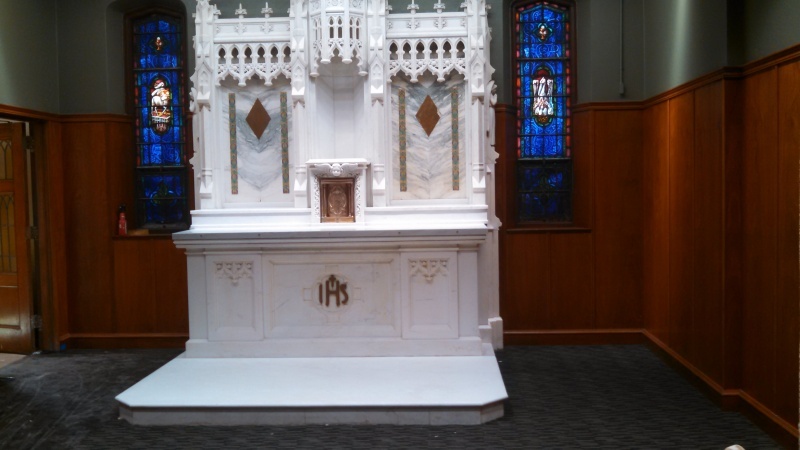 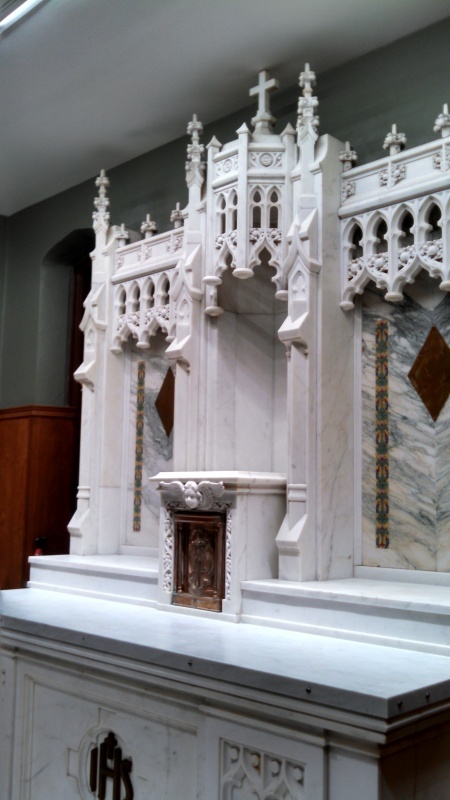 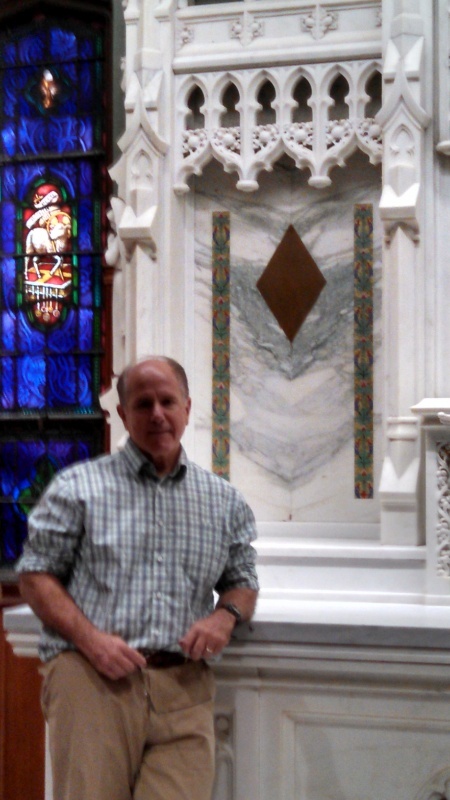 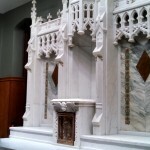 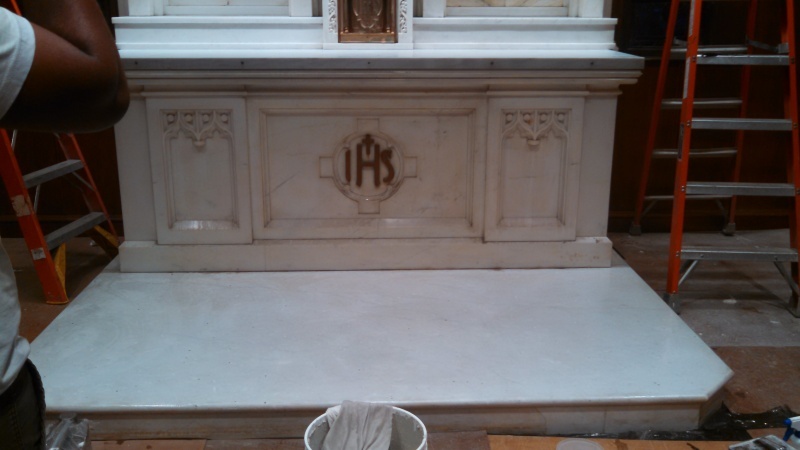 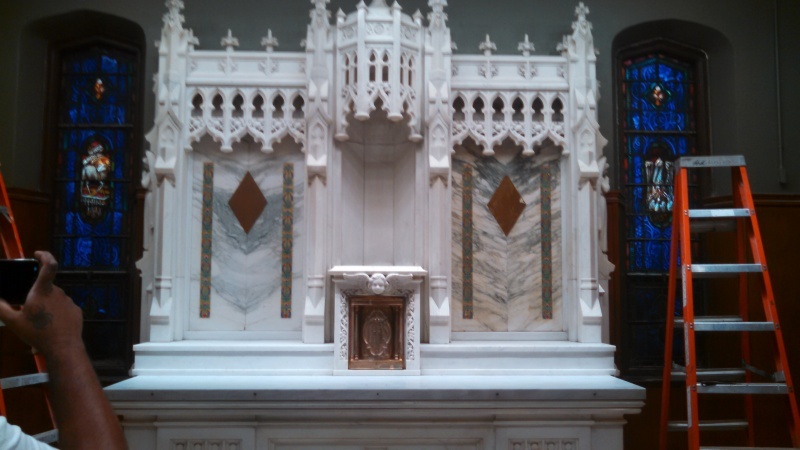 Petrillo Stone Corporation recently cleaned and restored the altar at Fordham University’s Loyola Hall. 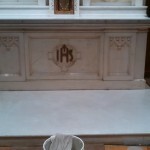 The material is a white Marble that was terribly stained before it was cleaned and patched. 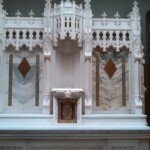 You can find the images in the gallery below. 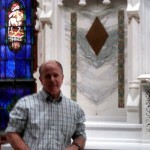 This entry was posted in News, Projects on August 14, 2014 by Boom Visibility.